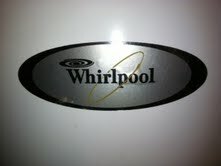 Bought my gas water heater (6.5 year warranty) not quite 2 years ago, had my previous around 10 years. In the last 1&1/2 years I had to have my Thermostat replaced 6 months after buying it, they replaced it and sent a repair man for free next day, not to bad right? 7 months later my Burner goes bad, I call and its no problem we'll ship one out to ya tomorrow, No repair man but I can manage the replacement, still not to bad right? 5 months later we wake 3 am to the strong odor of carbon monoxide in the house and had we not had a carbon detector I wouldn't be writing this or would my wife and 2 girls. My water heater is not venting properly was the response I get, didn't matter that my last one worked perfectly for 10 years as well as this one for 1&1/2 years. Replaced for a few hundred dollars worth of new double insulated pipe and it seemed to be working better. 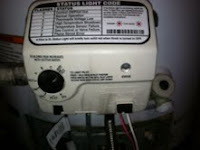 Now 3 days ago, 4 months later my Thermostat goes bad again. I call and talk with the assistant to get a new one, explained my last year and a half and ask at what point do we recognize I got a faulty product and it needs to be replaced? Her response is one that led me to a more direct conversation that is never pleasant to have but sometimes necessary, She says, O we never replace the tank we just replace the parts! Then she says I can get that part out to you but you will need to pay the shipping! I said, so someone has to die to get a new tank!??? (long pause & no response to my question) so then I say to her you don't understand, I am not paying the shipping and I need that part from you tomorrow! She says we don't pay the shipping, I said we'll your not going to replace my tank, you did cover shipping the last 2 times and you will this time to! She responds with, I'm sorry but we can't do that either, so I repeat again to her my previous comment and tell her that I need to talk to the person who is over her because because it was obvious she wasn't going to be able to assist me. She then replies after a pause, We will cover the shipping but it will be standard 3-5 days to which I reply that's not happening and I need to speak with your supervisor. I did ask her how she would like to go 3-5 days without hot water as well as that this was not about money but about principle, and that I was a very unsatisfied Whirlpool customer. She refused to connect me with her supervisor and so I told her one last time, I will not wait 3-5 days to replace their faulty Whirlpool products nor was I going to pay the overnight shipping charge! One last long pause to which she responds, Okay but this is the last time we pay the shipping! I didn't say it but wanted to say how many more times am I going to replace these parts? 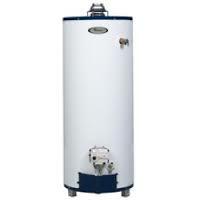 I had my last water heater for 10 years and never replaced or repaired anything on it! Would love to have some feed back and if you are someone who works in customer service my apologies. I was not rude but had to be very direct and she refused to let me speak with her supervisor. *If your in sales I'm pretty sure I know where you'll tell me to go!!! Keep repairing parts every 4-5 months? Talk to Lowes where I purchased it? By more carbon monoxide detectors and hope for the best? Can't wait to get back to some much needed gardening time! If you hung in there through all the details much thanks to you appreciate ya reading and giving any input you may have. Took a break from gardening prep and Saved $500 this week with the click of a few buttons and a little manual labor! Who wants to wear dirty laundry? Not I! Who enjoys spending $500 for something that is for everyday work? Not I! Who could think of spending that money a thousand other ways? I Could! Think of the gardening supplies you could buy with 500 + dollars. Never been a great repair man but thought I would give it a try by Googleing, May Tag Dryer not working. To my surprise it gave me multiple things to check and videos to go with it. Thought how hard could this be and went to work. Through process of illumination and and taking (not difficult, 6 small screws, video describes everything step by step) few panels off and found the problem. 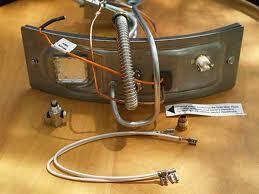 Went to the appliance store and purchased the part for $8 and a few hours later had our dryer up and running again. Thats a 500 + savings for a little research and a little manual labor and yes, if you are wondering I have a Very full time job! Next time you have trouble with your washer or dryer consider saving a few dollars and see if there is a part you may be able to just simply replace yourself. * Needless to say blogging was not a priority the last couple days! Not a a whole lot going on in there as it has been one week since the official project kick off. Winter has been roaring in like a Lion as Phil our groundhog Predicted a Lambs start to spring however that couldn't be further from the truth. No worries for the mini green house as that's why they call it winter sowing. A little snow on the first day out, a warm up of around 30 to 40 degrees for a few days and then back to 20's and 5 more inches of snow. FYI: Male over female? 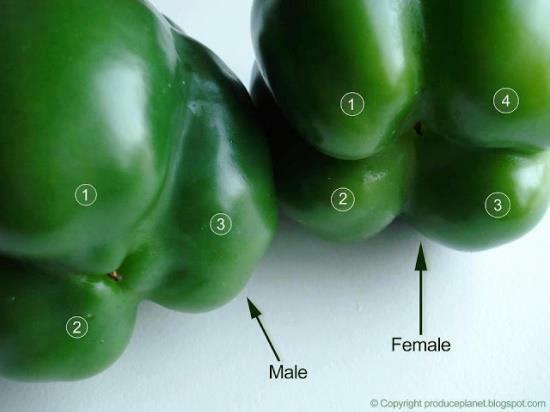 Flip the peppers over to check their gender. The ones with four bumps are female. The ones with three bumps are male. The female peppers are full of seeds. You can save yourself some money by getting the male? Male and female fruit can only come from plant types that have separate male and female flowers, and with a few exceptions, only the female flowers produce fruit. (one of the exceptions - some papaya male flowers will set fruit). The number of lobes is related to the specific variety of pepper. There are varieties of peppers that produce 2, 3-4, or 3-5 lobed peppers. The 4 lobed 'bell' pepper was (and is) more popular in the U.S., so plants have been breed for this characteristic. Can you use containers other than milk containers? Yes, but they need to have at least 4" of depth, and an air whole to breath at the top. 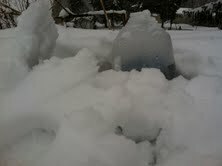 Also the container needs to be clear to get good sunlight. I noticed you said nothing about the lid, do I need it? No, the lid is useless for this project. Is a clean container important? Yes, rinse out container thoroughly. You can start as early as January especially for early season cold weather garden plants.March - April for warmer weather garden plants. 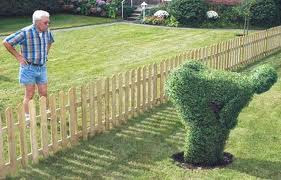 Will vary a little according to your zone. Do I ever need to water my mini-green house? No need to ever water during Winter months, during Spring warm up keep an eye on them till planted as you may need to add a little if you are not seeing condensation on the side of your container. Will my plants need more air than the container provides? Your in good shape during the winter months however, plants may need a little more air closer to planting season. * You may have many more questions in mind please feel free to ask and I would be glad to assist you. It's that time of year again when I get the "Planting Itch"! Having now seen more than enough snow my mind gets busy planning for the planting season soon to begin. After a previous year of starting so early that my plants were lost to premature planting and no garden to transplant to I was determined to find another method. To my surprise I happened to come across an article by Ashley Cotter that caught my attention. Come join me and give it a try yourself as I begin my Winter Sowing adventure. 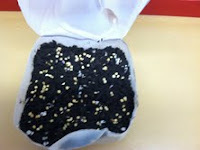 My plan is to take you through an economical step by step process of how to achieve Winter Sowing. So first things first, head for the fridge and lay claims on your half used clear gallon milk jug! 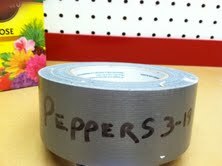 You will need a drill, knife, scissors, duct tape and marker to get you started. Mark and Drill 4-1/4" holes in the bottom of your milk container. They will serve as drainage for your minigreenhouse. Measure from the bottom up approximately 4" and if desired draw a line around the container to assist in keeping your cut straight. Cut out leaving one side of the jug intact. 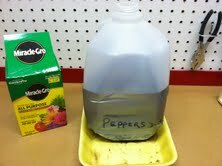 Fill container bottom with soil (I prefer Miracle Grow Soil for planting) leaving room to top off with soil after seeds are planted. Wet soil with sprinkler setting of your hose. Let drain and prepare for planting. Simply scatter seed of choice over the top of the soil, no rows or order. 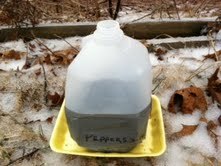 I am planting pepper seeds due to my having the most trouble with spring planting from seed in years past. When seeds are scattered press down into soil lightly and cover with a thin layer of soil. Wrap container with a layer of duct tape to seal. You will also want to add the type of plant you have planted and I like to add the date as well which you can record in your planting journal and will aid you in years ahead. Find a location outdoors where your plants will not be disturbed by dogs, children... You will also want to place your mini green house where it will get a good amount of sunlight. 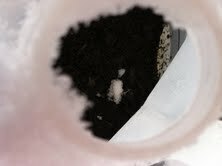 In my following posts I will be sharing with you tips and additional information to winter sowing. My goal was to keep this post simple and not cluttered with extra details that I will cover in the days to come. Please feel free to ask questions that I would be glad to field for you. Good luck to you on building your mini green house! Mammoth Earth Worms to Big for the Garden!